We are China Led Safety Life Hammer for Emergency, Car Auto Escape Hammer Factory, Supplier and Manufacturers. 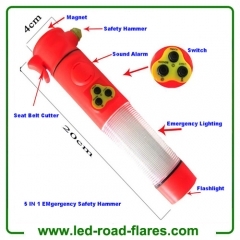 Auto escape hammer ( life hammer, safety hammer ) is great rescue and escape tools in case of accident. 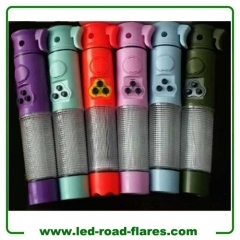 We are China Auto Escape Hammer Factory Supplier and Manfacturer. indoor first and processing of the shot broken glass. 2. 100% Brand New and high quality.Emergency Break Hammer is a Must for your car! 3. This life saving gadget has the power to get you out of trouble when you need it most. 4. It is with also built-in safety cutter to slice the seat belt away to set you free from the danger. 5. It has the metal Car Break Hammer to shatter the window of your car in an emergency situation. 1. Install 2XAA batteries in accordance with the sign of the product, then close the lid tightly. 2. Press switch 1, turning on the head light to illuminate. 3. Press Switch 2, 9 LED Lights blink. 5. If get trouble at nights, use the magnet on the back of auto to alarm. 6. 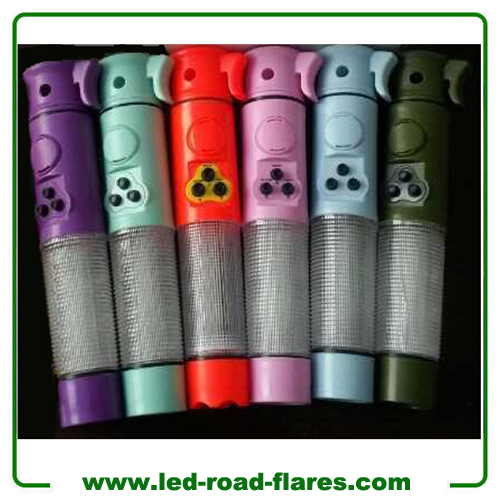 If get accidents and can not untie the seat-belt, use the reamer to cut seat-belt off the flee. 7. If get accidents and can not open the windows, use the hammer to break the window.